Need an appetizer that is truly the easiest thing ever and tastes like you put a lot of effort into it? 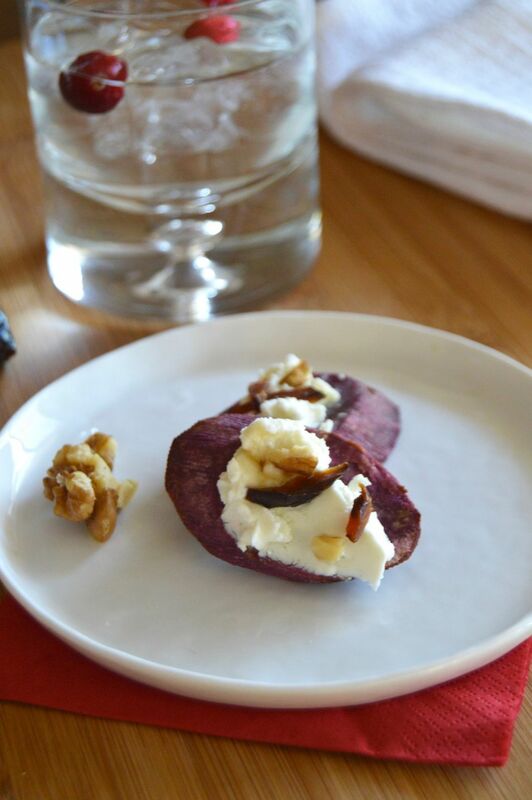 These Sweet Potato Starter Bites fit the bill. They are easy to make, can be put together in about a half an hour (which includes 20 minutes of baking time) and are really versatile. The Sweet Potato Starter Bites are easy peasy and I especially love them when its cooler out. (Yes, I know I live in California now, but the insulation just isn’t as good as it is back in the icy Midwest, so I’m always cold.) I like making these because I can turn my oven on and it not only warms up the house, but in just a short while I can have a tasty and filling appetizer. They are so quick to come together. I’ve given you a couple of ideas for the toppings, but honestly they will work with many different things. I like to make at least two versions when serving them so my guests (or my family) have options. I also like that sweet potatoes and yams come in several different colors so when you plate them to serve they look really pleasing on the plate. In these photos you can see a purple yam and an orange and a yellow sweet potato. They are available at your regular grocery store, so be on the look out for them. I’ve spread them all with a creamy cheese (Philadelphia Cream Cheese) then I made couple of choices for different versions of toppings. For the first version: a top the creamy cheese simply add chopped pistachios and cranberry pieces. The nuts give a nice crunch while the dried cranberry adds a tart burst of flavor. In the second version—don’t worry, they’re just as easy: on top of the creamy cheese add chopped walnuts and a few slices of dried figs. Then I drizzled sweet honey over the top. Mmmmm, the honey brings the whole bite together, nutty, fruity, creamy cheese tied together with the sweetness of the honey. The fact that these Sweet Potato Starter Bites are a two bite appetizer make them a perfect choice for a party appetizer but they also are a great filler when you just need something little before a light meal. 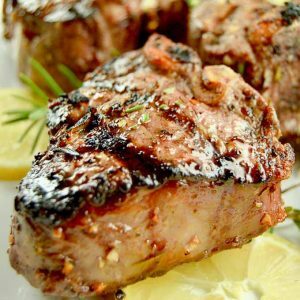 Try these the next time you want something fast, easy and delicious! 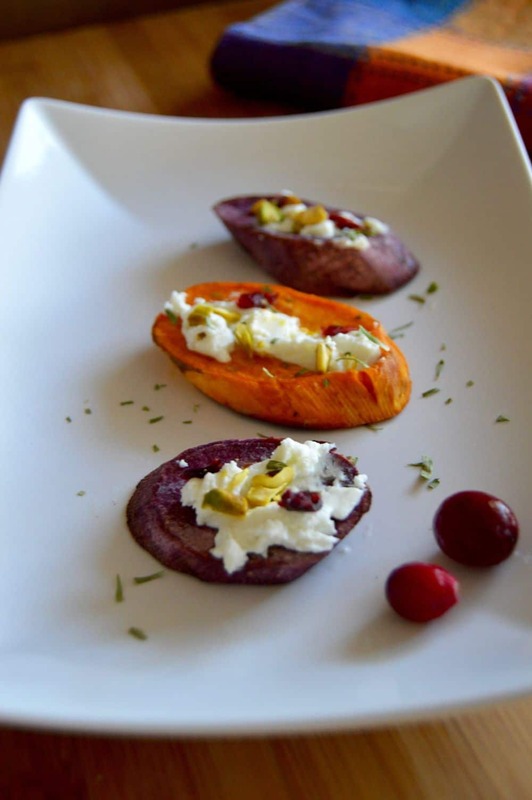 Take the cream cheese out of fridge and allow it to soften while the you work with the sweet potatoes. Slice peeled sweet potatoes/yams into 1/4" slices. You can cut them at a diagonal to get a longer diagonal piece or cut them straight across to get a more round looking bite. Place olive oil in a small bowl and use a brush to baste both sides of sweet potato/yam and place on a baking sheet. Repeat until all pieces are complete. Place in oven for 20 minutes. Edges will turn a golden brown, The potato/yam will be firm on the outside and the inside will be like a baked potato consistency. Once rounds are finished baking sheet, allow to cool for 5 minutes. Once you can handle the rounds, using a knife put a thin layer of cream cheese on all rounds. If I'm using multi colored potato/yams I will have one color with one set of toppings and the second color with a different topping. Lightly top 1/2 of the cream cheese topped rounds with a small amount of chopped pistachios and dried cranberry bits. Then sprinkle with the herb of your choice. On the other half of the cream cheese topped rounds place 2 slivers of the dried figs on top then sprinkle with a few pieces of the chopped walnuts. Place all rounds on the serving platter. On top of the fig/walnut rounds drizzle a little bit of honey over them to allow for a slight bit of sweetness. You can get a colorful plate by using different colors of yams and sweet potatoes. The cooking time is the same no matter what color/variety you use when using yams or sweet potatoes. 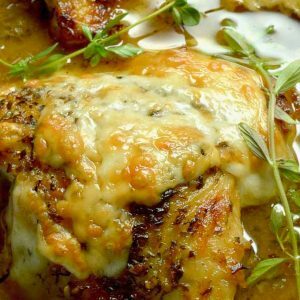 This recipe also would work with russet style potatoes, but the cooking time would be an additional 10 minutes for a russet potato. If you are doing russets and yam/sweet potatoes place the russet slices in the oven for 10 minutes then add the yam/sweet potato slices on the tray. By doing it this way, your rounds will all finish at the same time. Calorie Information for this recipe was calculated in My Fitness Pal using the ingredients/brands I purchased to make the recipe. If you are following a strict diet, please calculate the calories using the brands/ingredients you actually purchased for complete accuracy. A great twist on potatoes. Everyone loves the different colors! This is great! I love sweet potatoes! 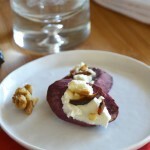 Love the use of figs and cream cheese on these potatoes – the perfect bite! This looks like a tasty app to make. I love that it seems quick and easy. I LOVE sweet potatoes! I love that you made these into small pieces, so they can really be used as an appetizer! Oh, my word. Those look amazing, and I’m a sucker for potatoes. Looks delicious; I’ll have to add these to my recipe list. YUM! Fun! Love that they are nice finger foods and healthy too! Few tweaks these could be vegan too! I love sweet potatoes! These look pretty easy, but still very colorful and fun. Would be great for the next party! My grandpa would love these. He just had me buy him some sweet potatoes the other day. Yum. I love sweet potatoes. My daughter used to be obsessed with them, but not anymore. Otherwise, I would totally make these as a snack. I remember those days with my niece… one day it was the best food ever, then next day it was oooh, yuck! who knows, maybe she’ll come around to like them again! Oh these look really good. I think these would even be great snacks for the kids. I much prefer these over bags of chips as well. Will be trying to make these over the weekend. we’ve made many things with sweet potatoes but never anything like this. This is such a great idea, can pretty much top it with so many different things. Sweet potatoes are one of the world’s best foods. It’s at the top of the list with avocado. 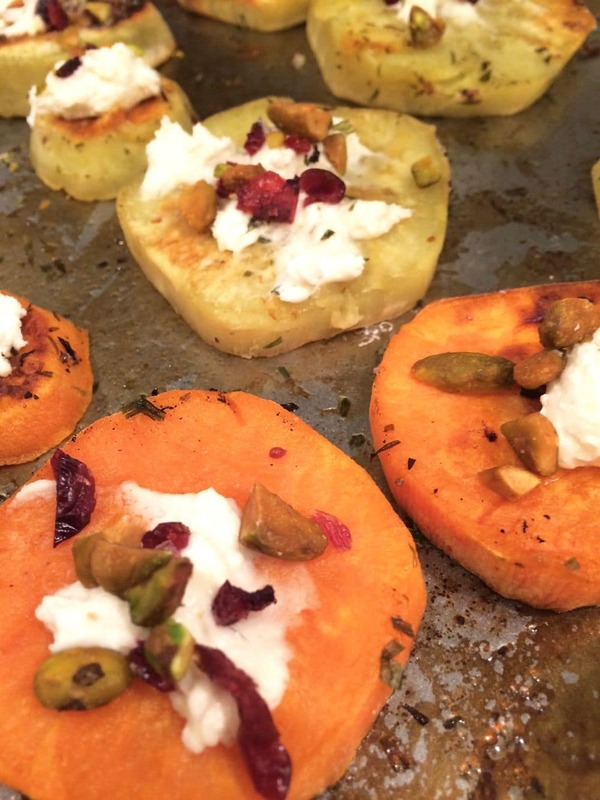 I’m not too fond of sweet potatoes – but these sound delicious! I guess if you put something you really like on something that you may not care for – it will taste great! Oh man. These sound divine. 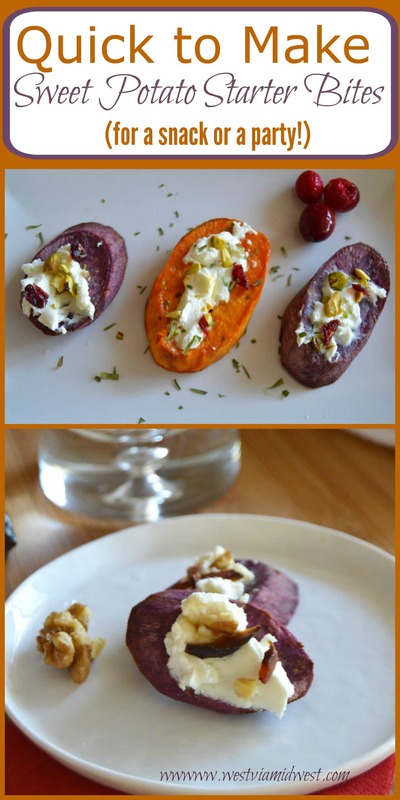 I never had sweet potatoes growing up, so I am just discovering the amazing ways to use them! Love these sweet potato bites. I love sweet potato but was limited with what I could do with it. Great ideas. Those look amazing! Wondering now why I’ve never thought to do this? I love sweet potatoes! I love sweet potatoes! My hubby is a farmer and he’s always looking for fruits and veggies in non traditional colors, so I’ll have to tell him to grow different types of sweet potatoes so we can try this dish. I love how elegant and chic your presentation was as well! Normally when I think of sweet potato I’m in visioning dippong fries in mayo. This looks like a delicious appetizer! Now I just need an excuse to make a batch. I am saving this for later. They are healthy, pretty, and I bet they are delicious also! What a fun and unique appetizer for a dinner party! I love that these aren’t your normal start to a meal! What an absolutely AWESOME appetizer idea! My whole family would just devour these! They sound amazing. I have always wanted to try out a recipe with those fabulous purple potatoes!! 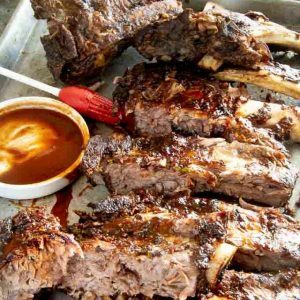 This looks so incredibly yummy that I need to make it this upcoming weekend! Oh my gosh these look amazing! MY parents are coming into town later this week and I was trying to brainstorm an easy appetizer for their arrival. These will be PERFECT! These look amazing!! I love purple potatoes and the combination of the cheese and nuts has to be both creamy and crunchy and does it get any better than that?? the combination of the colors make me so happy! And I love sweet potato! It’s the little things right? Thanks! What a great little bite to start the meal! Delicious looking! These are the perfect finger food! These are aqesome! Easy and beautiful! Yummy. Pinned so I can have a go at making these! These are the cutest little appetizers I have ever seen! yumm! I love the idea of using different colored yams. What a pretty appetizer! I love sweet potatoes and yams! I can’t believe I’ve never seen these before. Neat recipe. Love the beautiful colors together on the plate! 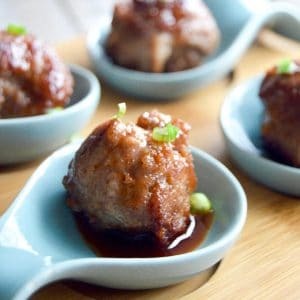 What a fun and delicious appetizer to serve.